As You Enter Lot, By The Trees. 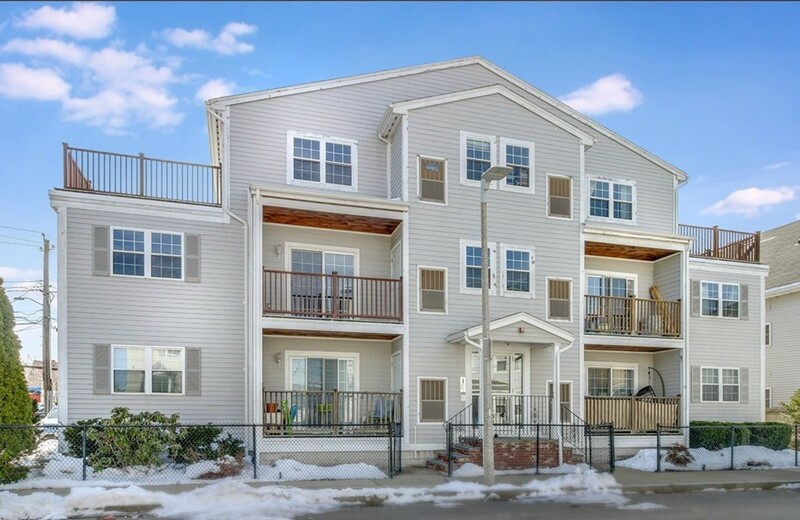 All you seek and more in this 3 bedroom, two-level condo steps to Dorchester Center, sandwiched between Fields Corner & Savin Hill T, and nearby the highway and Neponset River Valley recreation. Boasting an open concept, the kitchen and combination living and dining room are illuminated by natural light pouring through the sliders to the balcony. The kitchen hosts granite counters, Schrock cabinets and stainless/black appliances. Two well-sized bedrooms and a full bath round out this level. The top floor could be a true retreat from the stresses of the day. Generous space on this level offers a sitting area that opens to the large deck, with room enough for both dining and seating areas, and the master bedroom with ample room for a dressing area and sitting area, plus full bath with laundry. In-unit storage, plus a storage area in the lower level. With a walk score of 90, this home is a walkers paradise. Come enjoy easy access to downtown, plus local dining options galore.